Parenting comes to life in the stories we share. Whether it’s a moment of joy or a moment of distress, we can learn from each other. Wake up, dress, feed, entertain, teach the children, put the children to sleep, repeat. This is my regular daily routine. My wonderful husband helps with the supper/bedtime/weekend routine. He works long days however, and most of the child rearing is done by me during the day. Spending my days with my children, laughing, learning and playing is something I so enjoy. As I also run a home daycare they are well entertained by the children that spend the day here. However, as my youngest is nearing his second birthday, I’m left feeling overwhelmed with what to do when I am able to go back to work. As a young child, I always knew that being a Mom was what I wanted to be. I set my post secondary prospects low in my last year of high school. At that time, I was already dating my now husband and knew that having a home full of children was what we both wanted. I graduated with my Early Childhood Education (ECE) two years after high school and worked in the field for a short time. Then we got married and I opened my own home daycare. A couple years later, with thankfulness, we welcomed our first child and were overwhelmed with love. As I held her, I felt that this was what I was meant to do in my life. Chloe grew older all too quickly and we prayed fervently for another child. After some time, it became clear to us that having the big family we always hoped for was not in God’s plan for us. Thankfully, a few years later, we were again blessed with a child, and now our little family feels complete. My days with my children are rewarding. I enjoy every minute that I can teach them and watch them learn. However, daily I wonder what the plan for me will be when the years of young motherhood are all too quickly over for me. 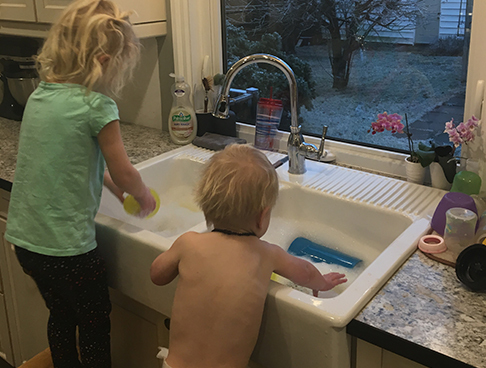 Being home, cleaning and making meals, getting the kids dressed, feeding them, playing with them – it comes so naturally to me that it does not seem like any work at all. With being out of the ECE field for as long as I have, I feel incapable and not fit for a job in my field. The days I’m experiencing now, while rewarding and enjoyable, leave me feeling lonely and detached from the outside world. Daily I fall between so many emotions; feeling fulfilled and blessed for the life I’m currently living, while also feeling unaccomplished and inadequate. It’s difficult to fully put words to, but the choice of staying home with more children is not mine, so I’m left asking, what’s next for me? Angela is a married mom with two children, the owner of a home daycare, and a faithful reader of Parenting Now. We greatly appreciate Angela taking the time to write some of her story. If any of this resonates with you, please share with us in the comments! This stage of life is so complex. Thank you for sharing your story. It was a great read. It reminded me of the time when my kids were younger and I was waiting for them to start school. A very relatable honest article transitions are hard . agreeing with most of what you described. I am a mother and housewife for most of my life; taking care of my kids, being with my family, and helping people in our community is the only job that I enjoy. I really appreciate your honesty, love and fears. I remember being in a similar situation and weighing out the pros and cons for each decision. For me, part time work was the best option, everyone is different and unique. Good luck in your future plans. Sally, thanks for sharing that – it’s really encouraging!! I’m in a season of transition and unknown too as our youngest goes to Kindergarden this fall. I really appreciate you sharing how you figured out what worked the best for your family! A great read for those of us who are in a season of waiting; living the ‘in-between’ with contentment but also with the unknown of what the future holds. Thanks for sharing!! Your story is very relatable for me. I’ve jumped in and out of the workforce to be with my children, back to school to be an EA which working then did not suit raising our children. After much soul searching about “ what I wanted to be when I grow up “ and trying to find what truly made me happy, I settled into being a foster mom to babies. It allows me to be home when my kids need me – even when they come home from high school they sometimes need a chat. Being a foster mom fills my empty arms with the joys of a new baby. It feeds my desire to give back to our community and I’ve realized that being in a caring, helping role is what I require to feel whole. 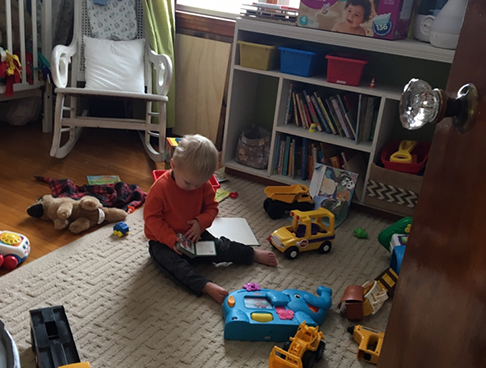 It took awhile and trying lots of things to discover who I was underneath all the stay at home mom stuff. Once the kids are in school and you take inventory of what makes you feel the most fulfilled the decisions become easier. Best wishes in your journey.